Essential Values Offers Every Day products That Don't Break The Bank. 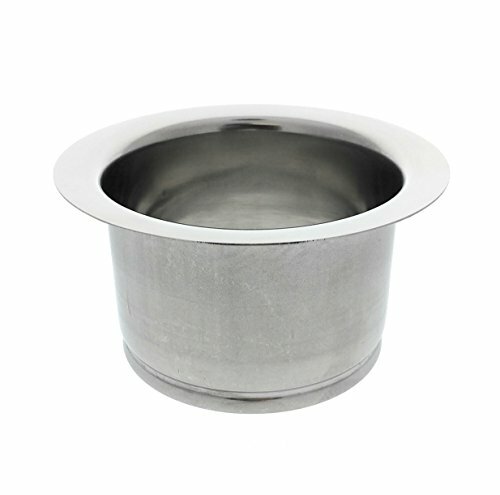 Our Polished Stainless Steel Extended, Deep Sink Flange Is A Great Inexpensive Solution To Replace An Existing Nasty Sink Flange. To be Installed With Plumbers Putty And An Insinkerator Or Other 3 Bolt Disposer Mount and On Deeper/Thicker Sinks Where A Standard Sink Flange Is Too Shallow. FOR GARBAGE DISPOSALS - For Use With Insinkerator Or Other 3-Bolt Style Disposal Mounts On Thicker Size Sink Depths. If you have any questions about this product by Essential Values, contact us by completing and submitting the form below. If you are looking for a specif part number, please include it with your message.